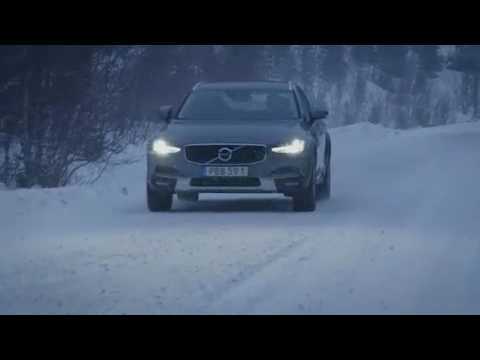 Sweden may be a land where snow can cover the ground for more than six months of the year and where for two months the sun may not make it above the horizon, but it is also a land that has given birth to Volvo and its all-wheel-drive capability. Volvo AWD has now been available on production models since 1996, so with all those years of experience and all the challenging weather conditions that have honed the Volvo 4x4 into such an effective safety system, you really can’t afford not to look at Volvo when ‘getting there’ and keeping your family safe are two of the most important things in life. Volvo first offered its mechanical all-wheel-drive system in the Volvo 850 estate in May 1996. Since then, Volvo has revolutionised this technology, significantly reducing the weight of the systems and improving them with the introduction, for example, of active-on-demand technology, enabling just the right amount of torque to be delivered as required. So successful have Volvo AWD cars been and so appreciated by customers, that more than 40% of all Volvo sales are specified with Volvo all-wheel-drive systems. With AWD available on the Volvo XC90, V90 Cross Country and V40 Cross Country, it’s time to try Volvo AWD for yourself by coming along to any of our Volvo Cars London showrooms for a test drive – you don’t have to wait for it to snow!